Gotu Kola is a creeping, mounding perennial herb that grows beautifully as a groundcover or as a hanging plant. Other common names are Indian Pennywort or Spadeleaf and it is native to wetland areas of China, Japan, Indonesia, Sri Lanka and South Africa. Gotu Kola grows wild in wetland areas and is considered a tropical plant despite hardiness to Zone 7. 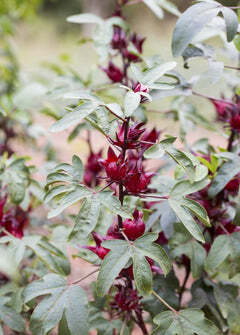 It loves moist, fertile soil and is suitable for water gardens. Gotu Kola contains many active biological compounds and is popular in herbal medicine and dietary supplements. Extracts of Gotu Kola are purportedly used to aid in wound healing, lower high blood pressure, and improve cognitive function (Memorial Sloan Kettering Cancer Center). Gotu Kola is considered an adaptogenic herb. Adaptogens are a unique group of herbal ingredients used to improve the health of your adrenal system, the system that's in charge of managing your body's hormonal response to stress (Be Well). Soil & Moisture: Loves water! Gotu Kola thrives in wet or poorly drained sandy, clay, or muddy soil conditions. Neuroprotection. Gotu kola protects your brain from toxins and oxidative stress. Studies show it helps protect against heavy metals and food additives which cause brain fog, mood swings and migraines. And it reduces oxidative stress by reducing free radicalsin brain cells.